Tis’ the season for soup and cider! Isn’t it interesting when the leaves start to change, so do our cravings? The other day I had this MASSIVE craving for soup! My body literally was not going to be pleased until I put soup in it! Years ago when I started to change my relationship with food, I purchased some cookbooks catered to eating with the seasons. I never really understood the concept until I started reading about it. And when I did, I thought, “Well, duh? !” It really is such a simple concept, but with how easily accessible food is for us we don’t really think about it. Many of us continue to eat summer fruits in fall and winter and wonder why they have lost their flavor and jack up our grocery bill! The fall cravings are a sign that your body is telling you what you need – to start warming up and preparing for the winter. 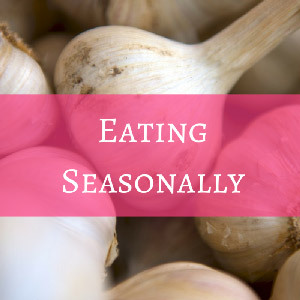 Eating seasonally can benefit us greatly. It can save us money, improve our health, and help us get better in the kitchen. Save Money – foods that are grown and picked within the season are less expensive! How is that for a motivator!? Eating whole foods does not have to break the pocket book! Taste Better & more Nutritious – foods that are grown and picked when they naturally should are fresher. Foods out of season have been stored for a long time and shipped from far away which causes them to lose nutrients and flavor. Support Local – you can find a lot of seasonal foods at your local farmer’s market or grocer and support local businesses! Variety – seasonal food supports our bodies in a natural way. If you eat seasonally, you can be assured that you are getting a diverse menu throughout the year to support your health. Encourages Home Cooking – eating seasonal foods can inspire you to cook more and there is nothing better than home-cooked meals and connecting with loved ones! Listen to your body – pay attention to what you are craving. Walk around the produce section and see what you are drawn to. It is pretty fascinating because I rarely will say “I want some pineapple and grapes in the dead of winter!” Nope, I want veggie soup and beef stew. 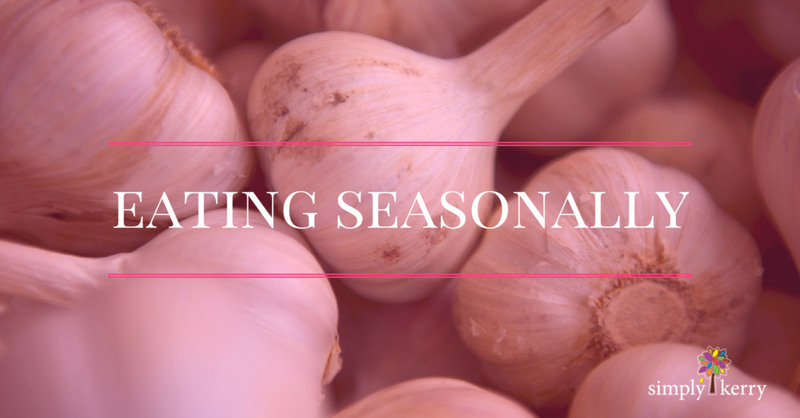 Bring a list of seasonal foods – to get the best bang for your buck and the most flavorful foods, be prepared and bring a list with you of the foods that are in season. Plan ahead – eating seasonally means you need to plan ahead. Take a couple hours on the weekend and pick out a few meals to throw in the crockpot for the week! Try new things – some of those root vegetables can be a little scary but if you commit to trying one new thing a week, you can really fill up your fall/winter menu with some awesome recipes. I started with brussel sprouts and then found 3 different ways to make them! Pick a new item and find 3-5 ways to make them! A Recipe to get your started! My friend, Dr. Lynn Wagner, who is an Integrative Medicine Physician shared this Slow Cooker Butternut Squash recipe with me! It’s delicious! She teaches people how to eat their way to health. Here you will find more information about Lynn.